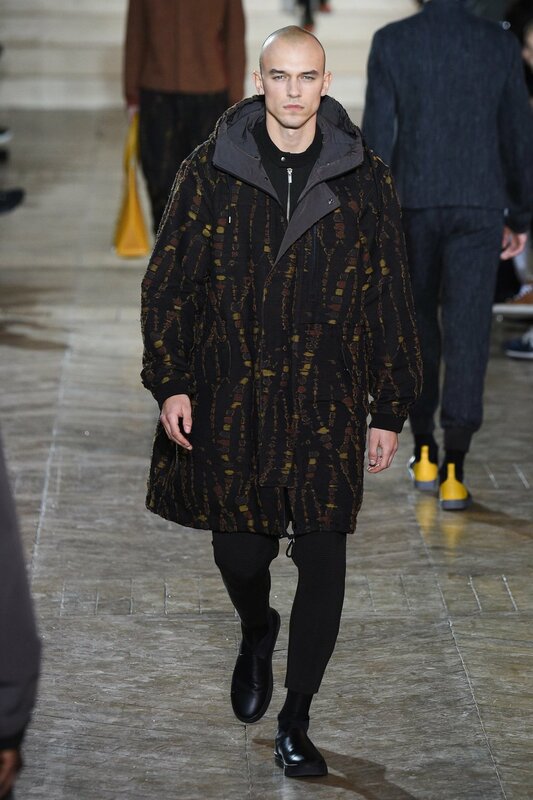 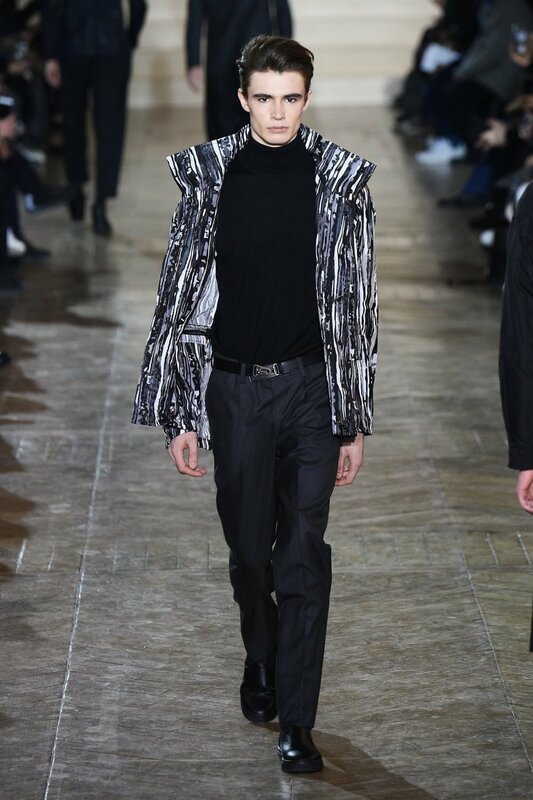 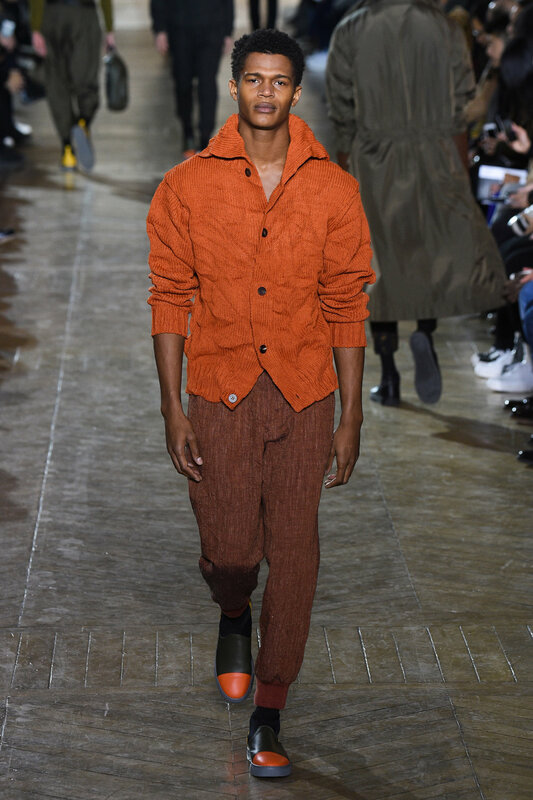 Issey Miyake Men’s signature amalgamations of visually pleasing aesthetics and easy wearability were more polished than ever in this seasons collection, presented at the brands most recent AW17 show. 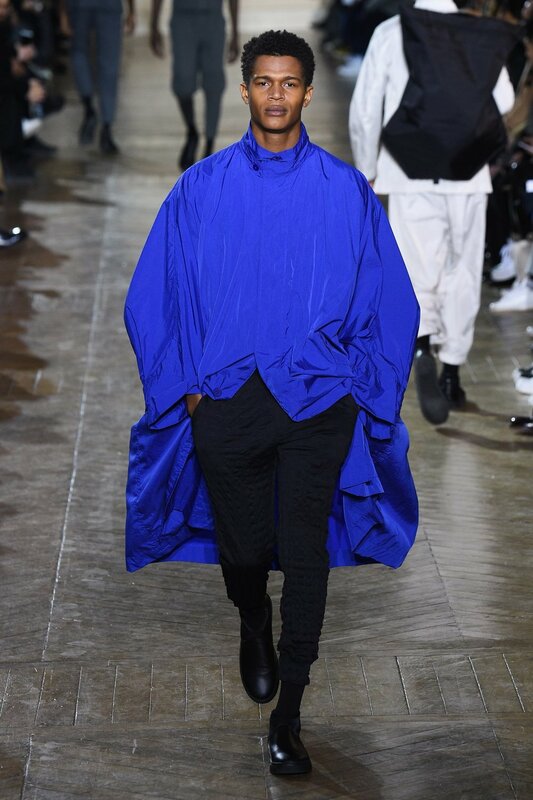 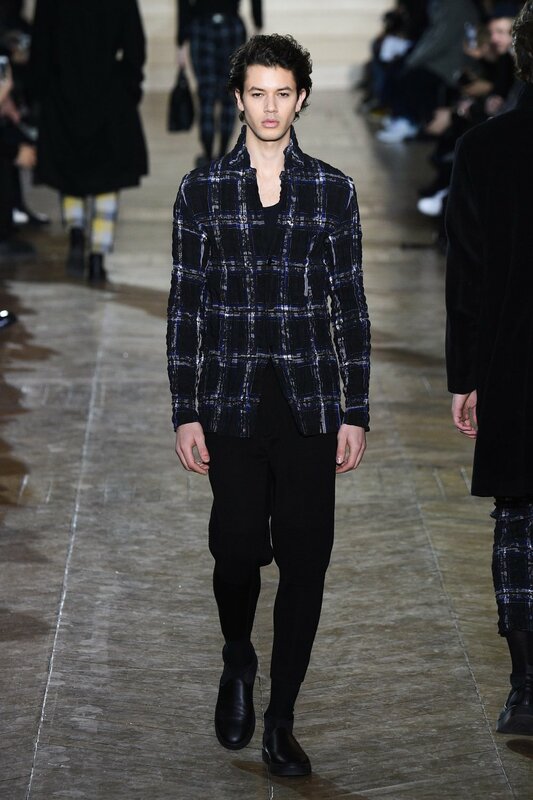 Comfort and simplicity remained a prominent ethos in the design process as models were doused in light flowing lines and soft textures, floating effortlessly down the runways of Paris Fashion Week Men's. 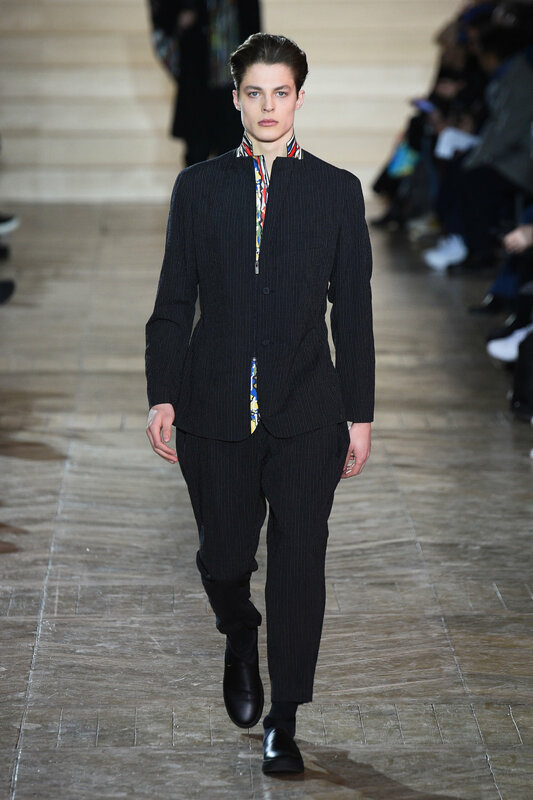 Weightless dusters were layered over supple roll neck jumpers and loose fitting trousers, giving a relaxed nature to an otherwise sharp and refined style. 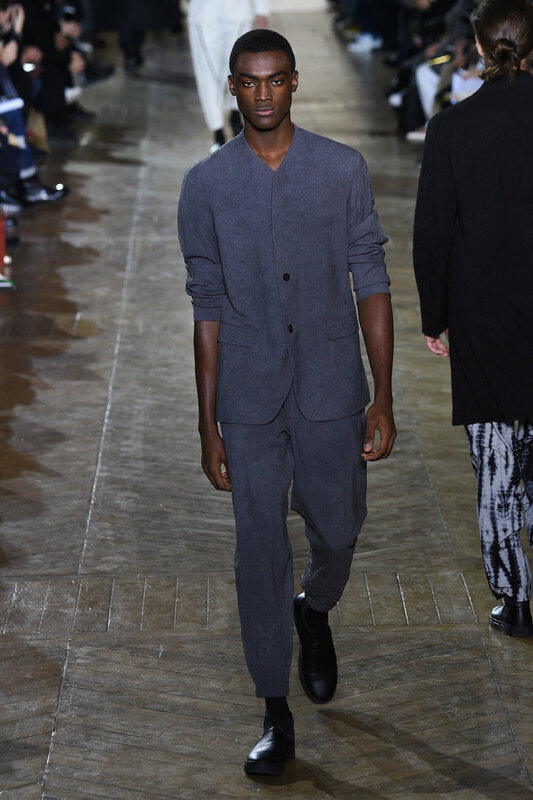 Suit jackets were oversized, fabricated from soft speckled wools and light patterned shirts lay unbuttoned, adding further to the malleable silhouettes of Miyake’s menswear vision. 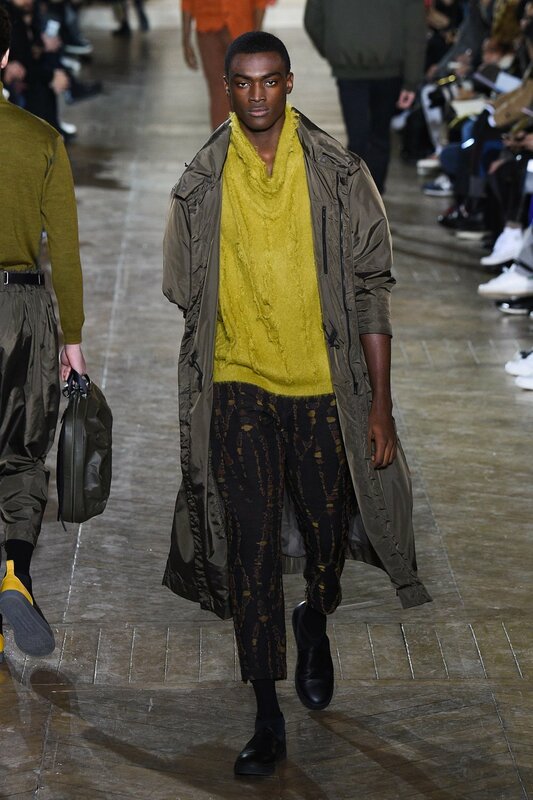 The colour palette remained mostly cool with a dominance of black, grey and accenting blues in company with the presence of warmer oranges, mustards and olive tones. 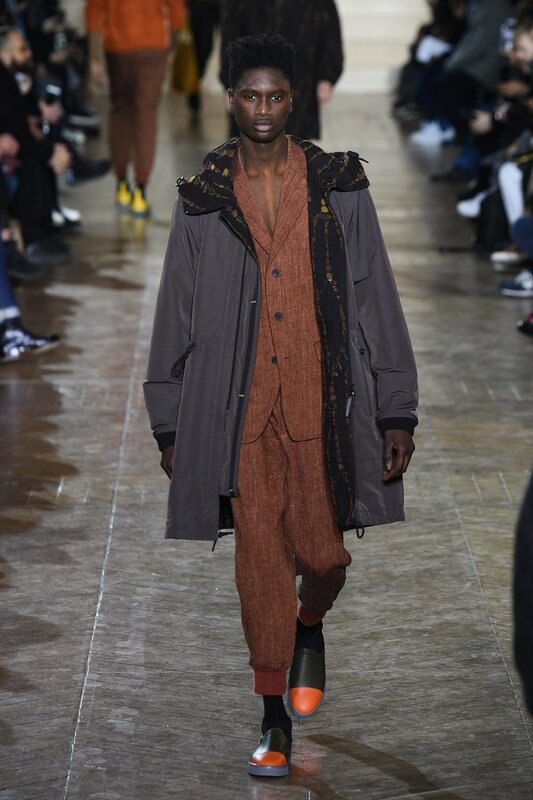 The repetition of coordinating trouser and button up jacket or shirt combinations gave a uniform like stability to the collection. 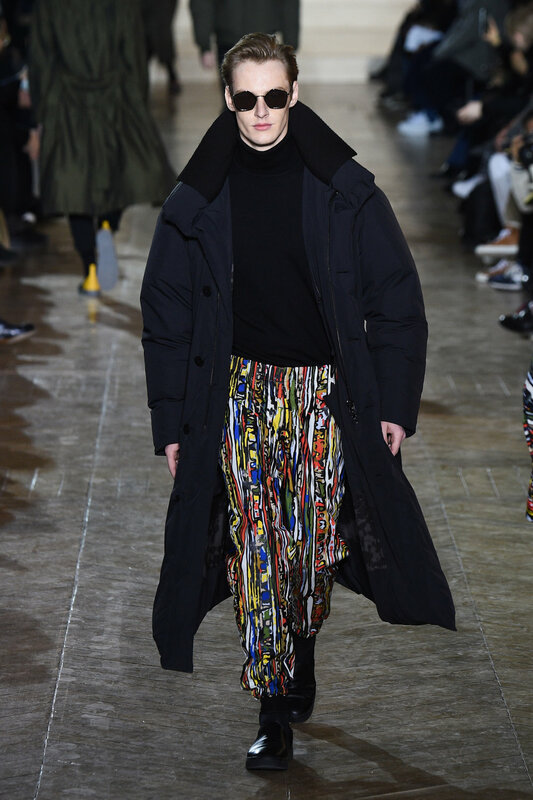 Occasionally coords were accompanied by a selection of varying graphic patterns or livened up with colourfully tipped shoes to add a vibrancy and futuristic essence to the alternative looks. 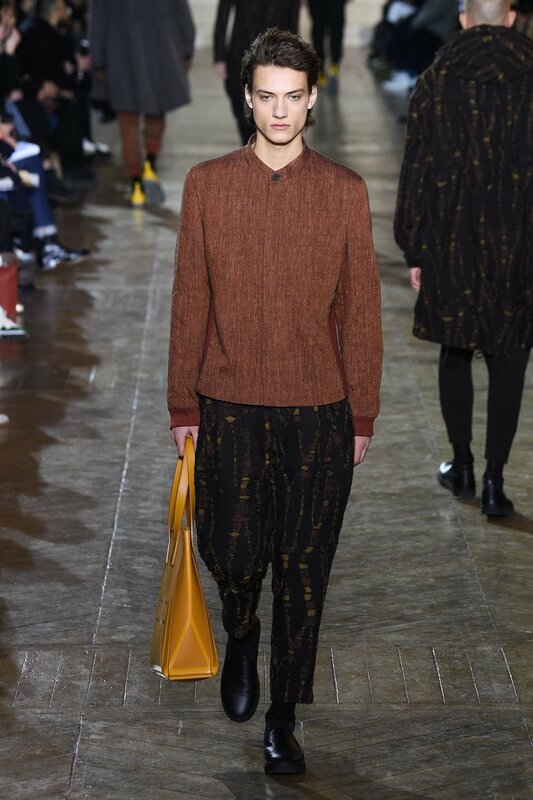 Outfits were accessorized with large slouching bags and dark, opaque sunglasses, contributing an almost captivating yet mysterious manner to the already suave model profiles. 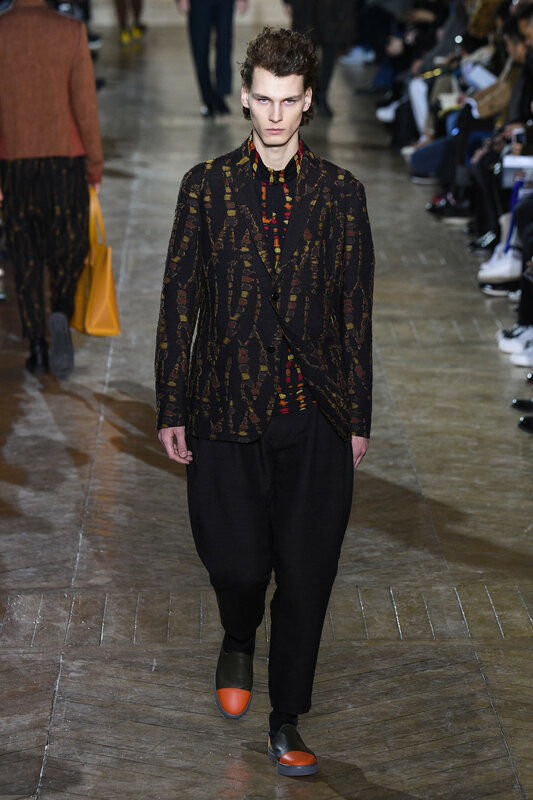 Overall, Takahashi succeeded in evolving and maturing Issey Miyake Men's menswear identity, whilst obtaining the quintessentially humanistic nature of the brand.